LG launched its latest flagship offering – V40 ThinQ at an event in New York last year. However, the smartphone has eluded the Indian shores so far, that is until now. According to an exclusive report by MySmartPrice, the flagship might soon land at our shores. However, the exact date of the launch is not known yet. According to the report, the LG V40 thinQ will also be sold across offline retailers in country apart from Amazon India. While no exact launch date of the smartphone has been revealed, it’s being speculated that we can see it land here before the end of this month. As for the pricing, the report suggests that the brand will price it around Rs 45,000. There is no word on the colour options coming to the country as of now. To recap on the spec sheet of the handset, the V40 ThinQ comes with a 6.4-inch OLED display with a QHD+ resolution (3,120 x 1,440 pixels) and an aspect ratio of 19.5:9 to house the notch. Powering the smartphone is Qualcomm’s Snapdragon 845 chipset, paired with 6GB of RAM. For storage, the flagship is offered in two configurations – 64GB and 128GB. However, in India, the brand is expected to launch the handset in a single variant of 128GB. The flagship also boasts of IP68 water/dust resistance and MIL-STD-810G compliance for durability. 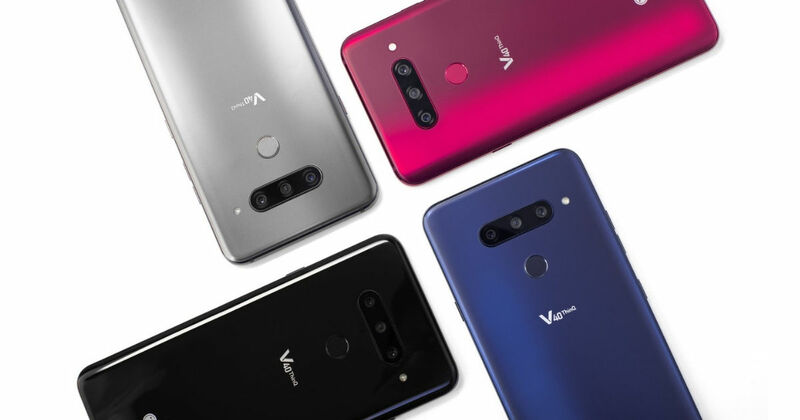 Coming to the camera department, LG V40 ThinQ comes with a 12-megapixel f/1.5 snapper, paired with a 16-megapixel 107-degree super wide-angle sensor with f/1.9 aperture and an 8-megapixel f/2.4 telephoto lens on the rear. For selfies and video calling, the smartphone offers a combination of an 8MP shooter with f/1.9 aperture and a 5-megapixel f/2.2 wide-angle camera. Other features include rear-mounted fingerprint sensor, Android 8.1 Oreo, 3,300mAh battery and a dedicated Google Assistant key.